As the competition in the marketplace gets tighter, a content strategist has a dynamic role to play. Content is king. But it also needs to move to have an impact on your marketing game. Content strategists have the responsibility to represent a brand through compelling storytelling. They communicate the key values of a company. They also build brand awareness, trust, and loyalty. Armed with creative minds and excellent communication and management skills, they help brands reach their goals by maximizing the impact of their content. They develop effective strategies that can inspire and engage their target audience. Content strategy is a challenging and demanding job. But for Sirikit Hiyasmin Elebaran, it’s a fulfilling one. Sirikit has been working as a content strategist and project manager for years. She’s capable in handling large-scale business implementation strategies, and can also guide diverse employees towards attaining actionable goals. Known as Yhaz in the Filipino freelancing scene, Sirikit also helps aspiring freelancers by sharing what she knows. 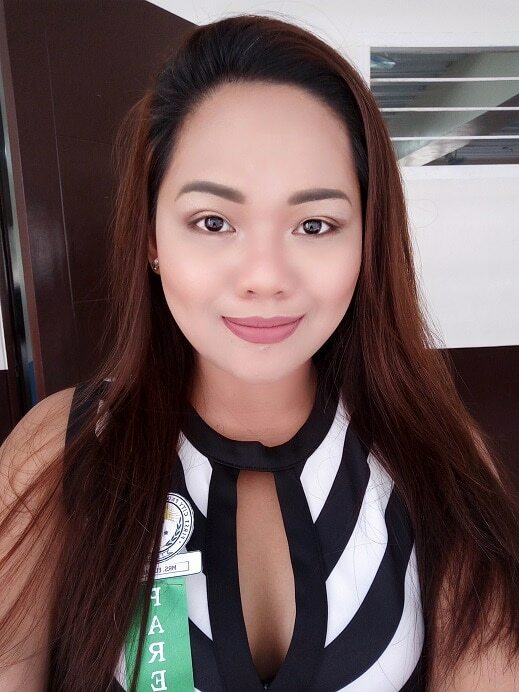 She’s an active member of Pinoy Homebased Mastermind, where she provides valuable webinars and tips to those who wish to be part of the gig economy. Check out our interview with the beautiful and talented content strategist, Sirikit Hiyasmin Elebaran. I work as a Content Strategist and a Project Manager. I systematically plan and develop a strategy based on our company’s objective/s, and ensure that it will effectively work to attain the company’s goal/s within a given timeframe. I wanted to breastfeed my daughter so I decided to be a stay-at-home mom. Unfortunately, bills were piling up. I had to help my husband make both ends meet so I looked for a business that I can do at home. There were a lot of options but I decided to sell baby items from the US, since my mom is in New York. It was a very tiring venture. I woke up one day and realized that I was not happy anymore. Luckily, a friend introduced me to freelancing. To be honest, it was something that I didn’t want to do. I wanted to pursue medicine and become a surgeon someday. After receiving a lot of projects a year after, my perception about freelancing changed. I no longer see myself having a day job in the future. I get to spend a lot of time with my family. I love the fact that I am with my kids every day and never miss a milestone. I am also the first person they run to when they are hurt, scared or confused. These are not possible if you have a 9-5 job. It also improved my marriage. My husband left his job as a marketing manager of a renowned fast-food chain to become a freelancer, too. Being together 24/7 made us appreciate each other even more. If I may still add, I also love the idea of not being tied to a single client. I can get 1 or 10, whenever I want. The opportunities placed along my path are limitless. Losing a full-time contract is the hardest thing, especially if it has become your bread and butter for years. It made me realize that nothing is constant in freelancing. No matter how competent you are, you can lose a client anytime. Prepare for the worst, because there is no security unless you know how to play the game well. Fortunately, I have a good record – over a hundred completed contracts and the majority of my previous clients left me with exceptional feedbacks. It helped me bounce back. I trusted God that the mishap has a reason. A day after I lost the contract, I sent 6 proposals. Indeed, it was a blessing in disguise – all of them sent an offer; 3 offered a full-time work. The surprise? I tripled the previous client’s rate. I am a perfectionist. When you have a business, you always need to make sure that you have strengthened your authority in your chosen industry, or else, someone can outshine you. Don’t let other people take advantage of your loopholes; always deliver outstanding work. Surpass clients’ expectations – that will make you irreplaceable. That’s actually my secret sauce why my clients keep coming back. Some aspirants fail to see the importance of securing their position in the industry they have chosen. Even if you are working from home and you only virtually see your client, you need to make them feel confident that they have chosen the best freelancer for the task. Hone your skills and guarantee your client that you always deliver impeccable work. I guess it is how some Filipinos see themselves – less than the freelancers from the Western countries. They feel that they are not entitled to charge higher because they’re from a third world country. Freelancing is not about how well you speak English or how fair your skin is. It is about professionalism, talent, passion, and dedication. We are known to give our 100% when it comes to our jobs. I think it has something to do with how we were raised. Our parents taught us the importance of delivering exquisite work. We are also known as fast-learners. We don’t need thoroughgoing guidance and assistance to understand the tasks. We can work by ourselves, and we go above and beyond what is asked of us. There’s no easy work. Please, if you want to start a freelancing career, do a lot of research. Figure out what you’re good at or what you love doing, and refine your skill so you can deliver high-quality work to your client. If you are struggling to get a gig, then it’s time to revamp your strategy by finding ways on how you can stand out. There are over a million freelancers all over the world – you’ll face stiff competition – so, find ways on how you can outperform your competitors, even if you are just a novice. We have various support groups with selfless admins who exert their best to offer assistance. Read their guidelines, watch their webinars and attend seminars. Following the influencers will also help you see the different angles freelancing can offer. You can connect with Sirikit through LinkedIn, or shoot her an email at yhaz.elebaran@gmail.com.